Android occupies around 80% market share in global smartphone shipments. Over 1 million new Android Devices are activated every day spanning across 130 countries. Yes, the pie will only get bigger and better for you! And that’s what makes big and small, new and established brands choose Android over other platforms. Android Game Development has been in the [x]cube’s DNA since Google launched it. 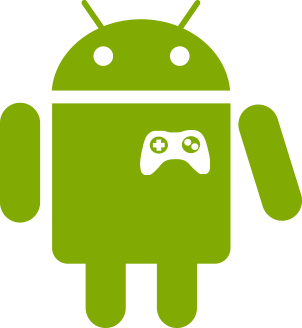 We understood the potential of Android in mobile gaming and very early invested resources and efforts to master over it. And, over the years, we understood that delighting Android users requires much more than technical brilliance. You also need creative mindset and compelling storylines to engage your audience and to make them hooked to your game. Our award winning design team and game engineers can help you capitalize on the capabilities of Android to create engaging games. We bring engineering, experience and expertise with a proven track record of successes to each and every gaming project. And that’s why we are a partner of choice to leading names like Mattel Inc., D3 Publisher, Alchemy3, PlayHut, SkyRain Mobile LLC and many others. We have worked on a wide variety of Android games specializing in every category and genre; right from social to strategy and action games. Our Android game development expertise covers the entire process. From ideation, visual design to UI/UX to app store submission and monetization - we can be your partner in every step. Our expert team can give life to your back-of-the envelope idea to fructify it into a Android game or if you have an existing game on other platform like iOS, Windows etc., we can help you customize and port it to Android.